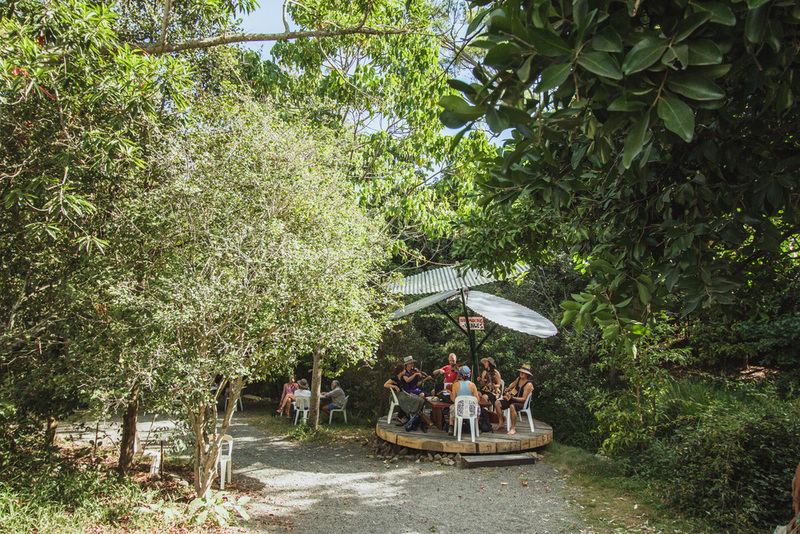 The Woodford Folk Festival is an annual music and cultural festival held near the semi-rural town of Woodford 72 km north of Brisbane, Queensland, Australia. 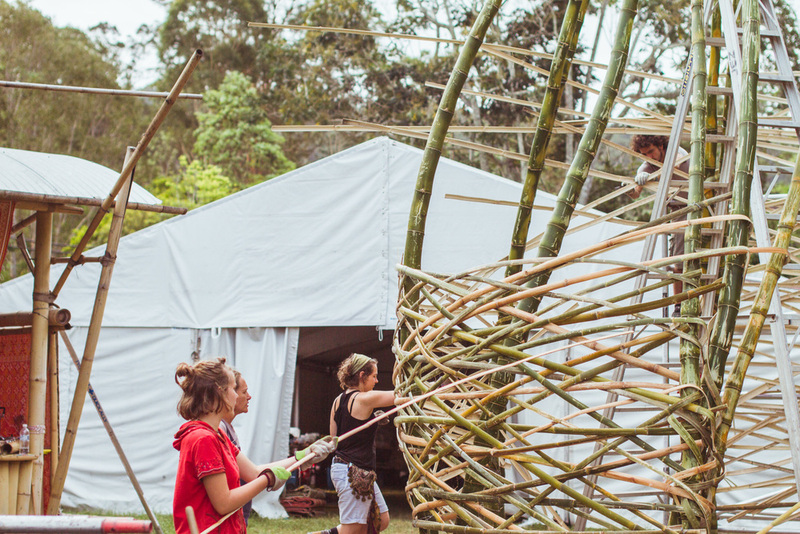 It is one of the biggest annual cultural events of its type in Australia. 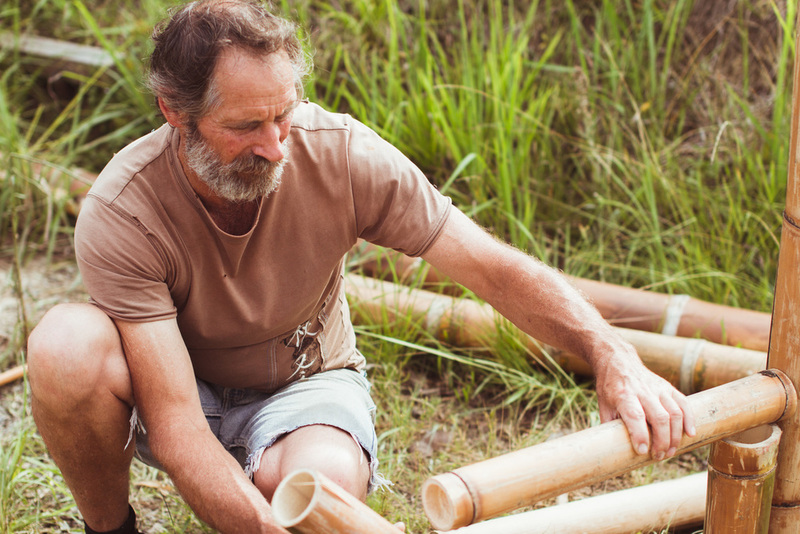 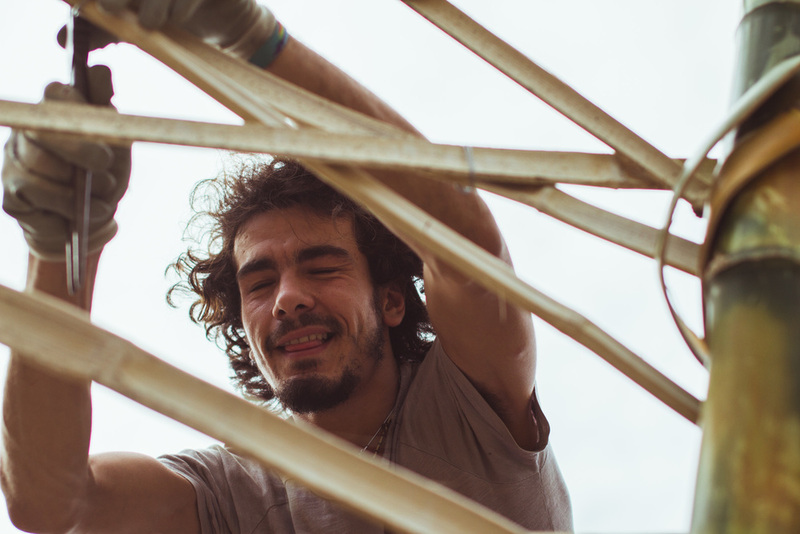 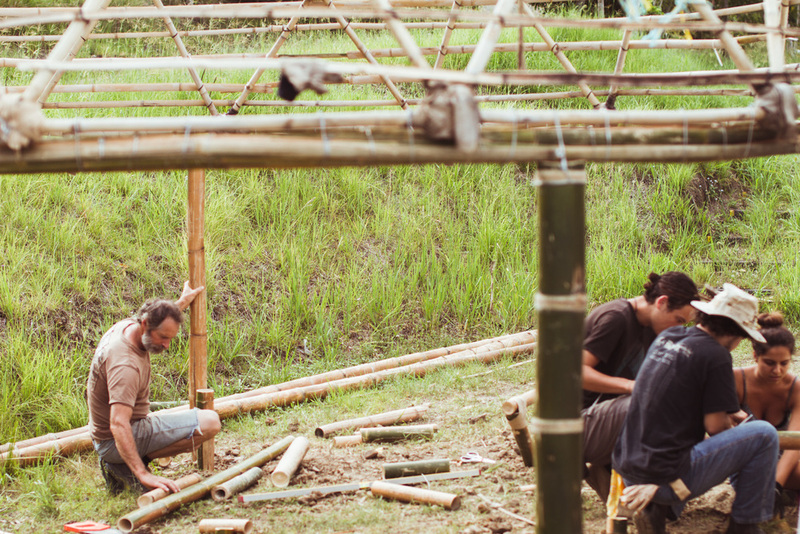 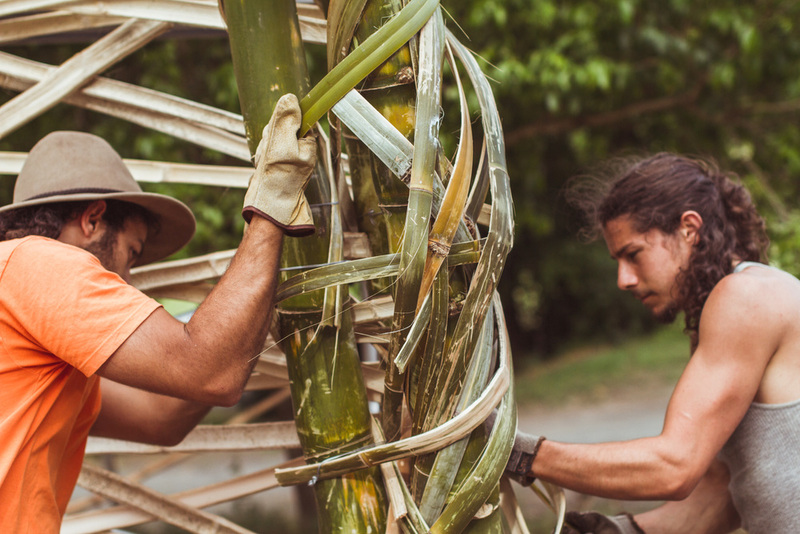 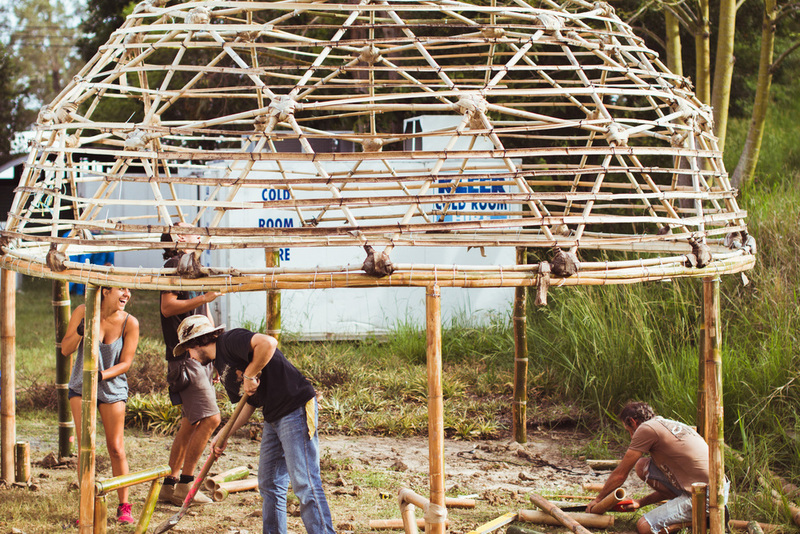 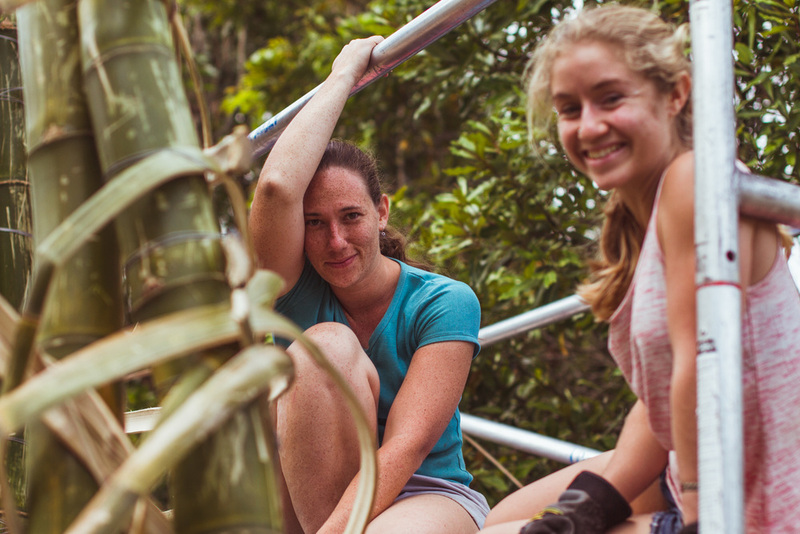 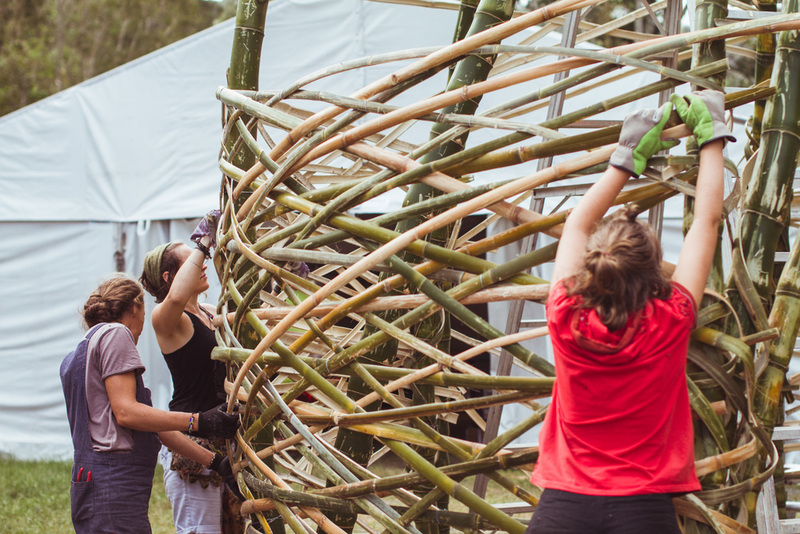 This year Cave Urban has participated by creating multiple bamboo structures for different venues of the festival such as "The Pineapple Lounge" and "The Tropic" but also relocating the sculpture "Near Kin Kin" exhibited in Sydney in 2015 as part of Art & About.